According to admissions made by the defendants at the time of the plea, from August 2013 through September 2013, Mazurek and Pfaff knowingly and willfully attempted to engage in illegal campaign coordination while acting on behalf of the Western New York Progressive Caucus, an unauthorized political committee, in regard to the nomination for election of an Erie County Legislature candidate in the September 10, 2013 primary. Campaign coordination is a crime under the Election Law. The crime is committed when a person knowingly and willfully, solicits, organizes, or coordinates the activities of an unauthorized committee with the activities of a candidate or the candidate's agents and where the expenditures made by the unauthorized committee on behalf of the candidate exceed the contribution limit for the candidate's race. "As we detailed, the defendants illegally coordinated with their chosen candidates, using their political committee to skirt the law," said Attorney General Underwood. "New Yorkers deserve to trust the integrity of our elections. We'll continue to enforce New York's election and campaign finance laws — and hold accountable anyone who breaks them." Today's pleas follow a September 2018 guilty plea to Bribery in the Third Degree by G. Steven Pigeon. That plea was in satisfaction of the charges against him in this Election Law indictment. Pigeon is awaiting sentencing. The Attorney General thanks the U.S. Attorney's Office of the Western District of New York, the New York State Police, and the Federal Bureau of Investigation for their work on the case. 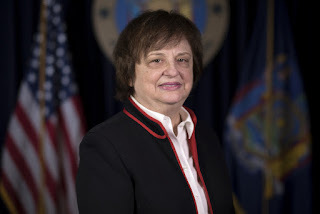 The Attorney General's Office would also like to thank the New York State Board of Elections for their assistance.